Prepare for Cambridge exams with us! 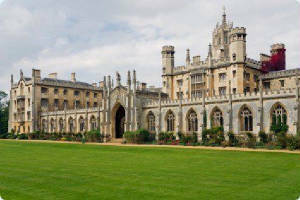 The Cambridge EFL examinations are known all over the world and are recognised by universities, employers and national education authorities in many countries. They are run by the University of Cambridge Local Examinations Syndicate (UCLES) - one of the world's largest and best known educational assessment agencies. The examinations are linked to an international system of levels for assessing European languages. The Main Suite of Cambridge EFL examinations are amongst the worlds best known qualifications for learners of English, taken by hundreds of thousands of candidates each year. Examinations are available at five levels. Each examination covers the four main language skills - listening, speaking, reading and writing - and assesses the ability to use a variety of structures and functions in authentic situations. Universities in Britain, North America and throughout the world accept the certificates awarded to successful candidates at Levels 4 and 5 as evidence of an adequate standard of English for admission to undergraduate and postgraduate degree courses.